And then there were four… The Championship Four have been set for a great race at Homestead-Miami Speedway. Joey Logano, Kevin Harvick, Kyle Busch and Martin Truex Jr. will compete in a “winner takes all” race this week. I am very excited to see who takes home the 2018 MENCS trophy, but sad to see NASCAR go away for 3 months. I enjoyed bringing you the best Fantasy NASCAR content possible and I thank you for your membership to Fantasy Racing Tips. The Ford EcoBoost 400 can be seen Sunday at 2:30pm ET on NBC. The MENCS will have a normal schedule this week. There will be one practice Friday (1pm ET on NBCSN) and two practices Saturday (11:30pm on NBCSN and 2pm ET on NBCSN). Qualifying will be Friday evening at 6pm ET on NBCSN. My early week pick for the pole is Denny Hamlin. The No. 11 car has won the pole in 2 of the last 3 races at Homestead-Miami Speedway. Hamlin has also won three poles this year (Watkins Glen, Michigan and Darlington). Hamlin probably will not win the race but he is one of the best in the field at qualifying at this track. Each week I use different stats in my model to create the best rankings possible to give you an edge on the completion. This week I used the results from the 1.5-mile tracks, driver ranking at the 1.5-mile tracks, average finishing position at Homestead, driver ranking for the season, and driver ranking over the last 6 races (We want drivers who have momentum). Kevin Harvick will show up with the fastest car at Homestead, but can the No. 4 team avoid mistakes? If the No. 4 team can avoid mistakes, they will likely win Sunday. Kyle Busch only led one lap at Las Vegas, Kansas and Texas. The No. 18 team has seven days to find some speed. Martin Truex Jr. is the wild card. He has been inconsistent in the playoffs. The No. 78 team needs to be at the top of their game in order to have a chance to win at Homestead. The No. 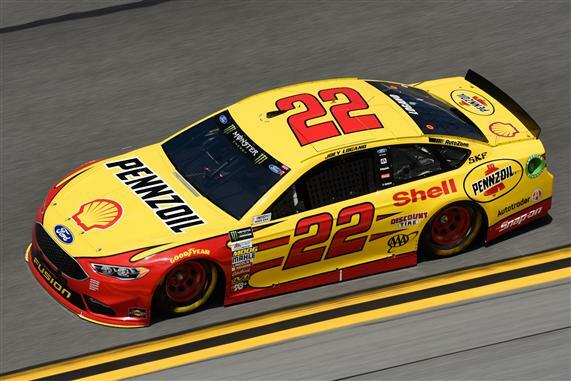 22 team had 3 weeks to focus on their Championship car and the numbers suggest Joey Logano should be your 2018 MENCS Champion. He has the best average finishing position in the playoffs, best finishing position at the three intermediate tracks in the playoffs (Las Vegas, Kansas and Texas) and he led the 2nd most laps behind Harvick. The No. 22 pit crew has been lightning fast and they should win Logano the Championship Sunday. * I will post my final driver rankings after qualifying Saturday evening.